This is a set of the Traxxas telescoping drive shafts (equivalent of dogbones or swing shafts). These are for use on Traxxas trucks. 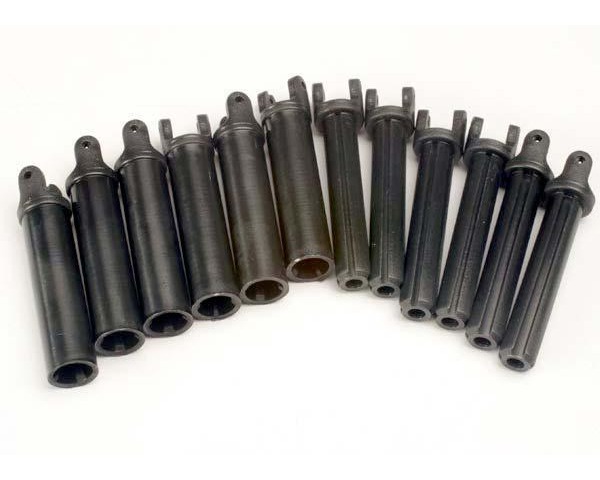 - (6) sets of drive shafts (each set consists of an inside shaft which slides in the outside shaft). - 2.5" long when fully compressed.